interlibrary loan request forms are available at the front desk in order tO BORROW ITEMS NOT AVAILABLE AT OUR LIBRARY. If the item you want is checked out, We are able to put it on hold and call you when it becomes unoccupied. request forms are AVAILABLE at the front desk. Free delivery is available to qualified individuals who are unable to make it to the library. we offer Volunteers who will deliver and pick up library materials as needed. multi-sensory programs which stimulate reminiscing, and can be used with groups or individuals, are available. a typewriter is available for use in the library, free of charge. However, Users must bring your own typing paper. Send or receive a fax at $1.25 per page. Inquire at the front desk. the public copy machine also has the capability to print information from a USB FLASH DRIVE, as well as save information onto the FLASH DRIVE. 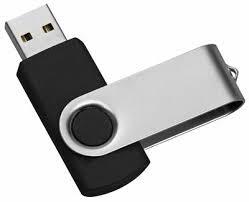 If you are printing images from a FLASH DRIVE, please note that the file has to be saved as a pdf or jpeg. we are now offering a credit and debit card reader for all of the above services. Please note that There is an additional $3.00 charge to any purchase made with a card.